Every school of Indian philosophy has prescribed its own ways to obliterate human sufferings in the best possible manner. More or less each of them has pointed out that the root cause of sufferings is false cognition of human being about the world and its objects. Only true cognition can eliminate the false one and like the destruction of a series in a chain, the sufferings will be automatically demolished at a point of time. Hence it is necessary to know the nature as well as the characteristics of false cognition. The term illusion is used to denote false cognition according to Indian philosophy. So it may or may not have similarities with the views of Western thought. Each major school of Indian philosophy has analysed the theory of illusion from its metaphysical as well as epistemological standpoint. As a result, major, theories—Samkhya-Yoga, Buddhist, Nyaya, Mimamsa and Vedanta –regarding illusion (popularly known as Khyativada) and many more minor theories have originated. This volume thus extensively analyses how these schools have criticized their opponents’ standpoint to establish their own view, making it an interesting reading for everyone, be it a simple reader, a student or a scholar in a simple and easy to understand format and language. 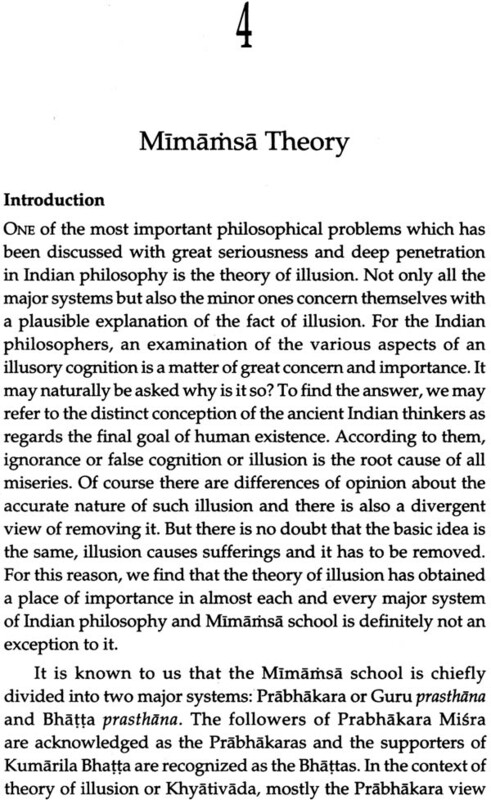 This book, Theories of Illusion in Indian Philosophy, was my preferred doctoral thesis. 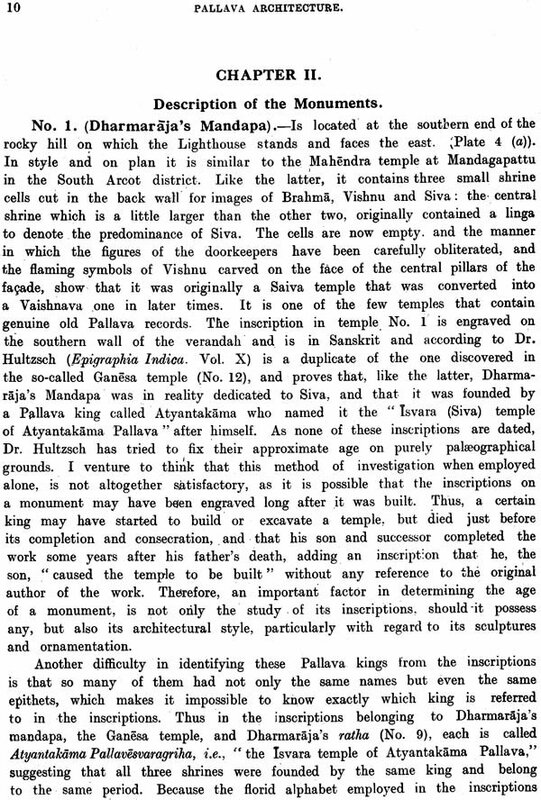 However, on the advice of my guide, I chose another topic on Indian epistemology for my Ph.D. thesis. Still, a hidden desire for the topic was afloat in me. I got a chance to fulfil that desire in the year 2010 when I decided to take up a minor research project under the University Grants Commission (UGC). Eventually, I chose this topic as the subject of my project. I have to admit very honestly that when I started this project, I had no idea about the vast dimension of the topic. As the work progressed, I understood that this work could be done in a larger scale, or to say it precisely, in the bigger canvas of Indian philosophy. As this work was taken under UGC’s minor research project scheme, I had to complete it within a specified period of time. As a result, I couldn’t design the book as I desired. I had plans to work on two more chapters—the Theory of Illusion of Bhatta school and the Theory of Illusion of Vaisesika school. 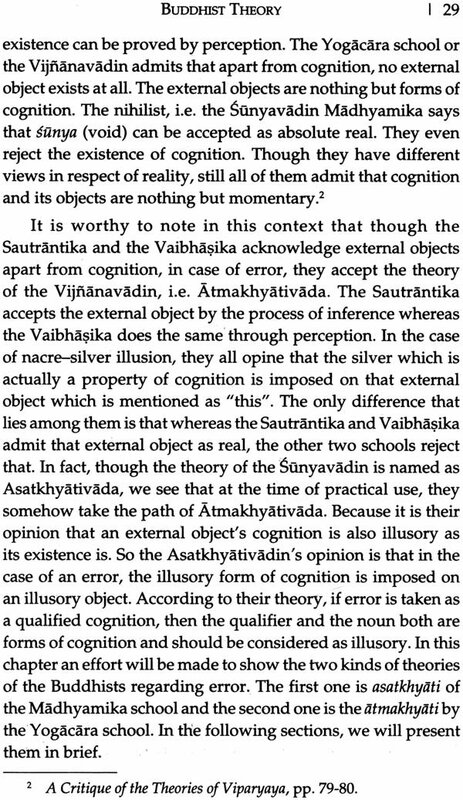 Even theories of illusion by various systems of Vedanta school are worth a discussion. I hope to include all of these in the second edition of this book in the near future. I am extremely grateful to UGC for its generous financial support in executing the project. I sincerely acknowledge the immense support and assistance that I received from all at UGC. Thanks are also due to the staff of UGC’s Eastern Regional Office for their kind cooperation. This book would not have been possible without the guidance and inspiration of Prof. Raghunath Ghosh, former Professor, Department of Philosophy, University of North Bengal. He helped me in various ways and instructed specially on the Theory of Illusion of the Vedanta school of philosophy. I am glad to dedicate this book to him as a token of appreciation and gratitude for his guidance and direction. I convey my sincere thanks to my teacher Prof. Mrinalkanti Gangopadhyaya and my guide Prof. Sarbani Ganguli. Prof. Gangopadhyaya did help me a lot in planning this book as well as in designing the “introduction” and “conclusion” chapters. Finally, I thank my mother, pillar of my strength, for her tremendous support, help and for pouring positive attitude into my life always. She was beside me like a concrete wall whenever I become sceptical about the completion of the book, revitalizing my spirit. I cannot express my feelings for her as I fall short of words. Ma, thank you and be always with me as you are now! I sincerely thank Mr Susheel Mittal of D.K. Printworld for his immense support and patience. Lastly, any kind of mistake in the book is entirely my responsibility and I welcome suggestions, corrections and criticisms from the scholars across the globe. Alamiti. 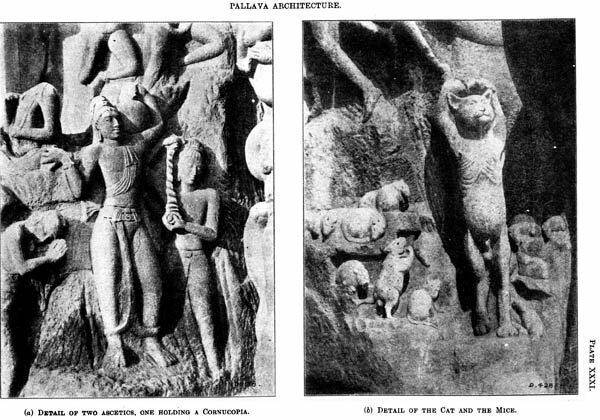 The antiquity of the Indian philosophical tradition is beyond doubt. Its beginning takes us way back to the Vedic period. 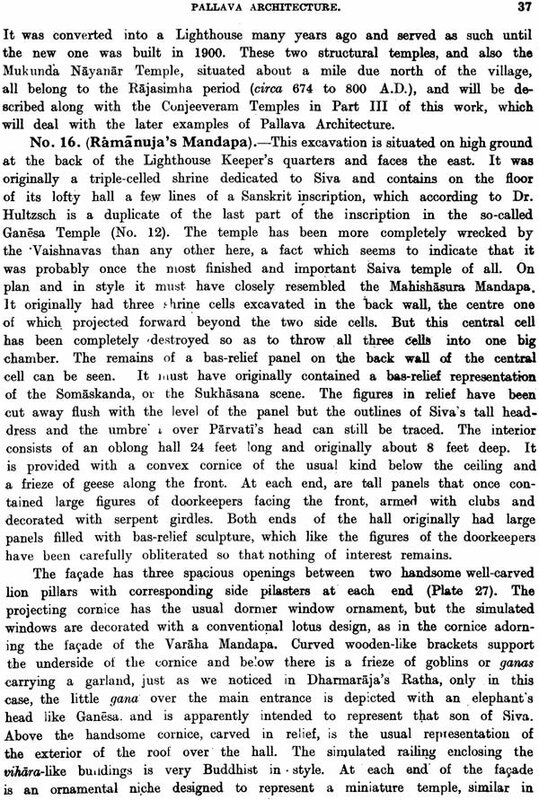 Attempts are made to trace philosophical terms even in some of the hymns of Rgveda, which was most probably composed about the middle of the second millennium BCE. This early speculative continued, in its traditional sense, up to the time of the most hair-splitting definitions and abstractions in logic and epistemology, known as Navya-Nyaya, i.e. about the seventeenth century CE. 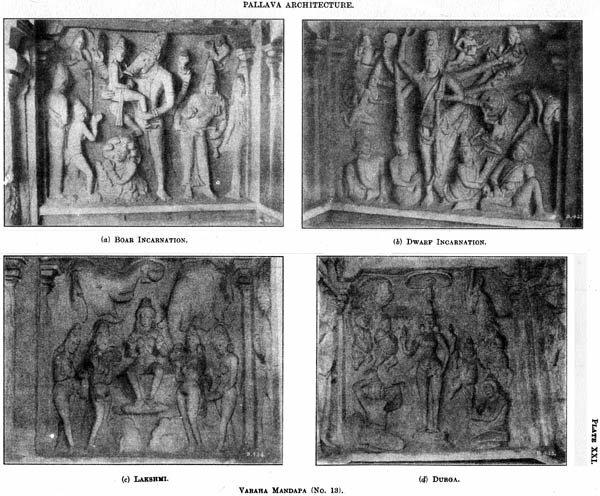 It is more or less an admitted fact that the distinct beginnings of Indian philosophical activity are to be traced to speculations in the Upanisads, at least some of the major Upanisads, being complications belonging to the sixth century BCE. The immediate and natural outcome of this continuous activity is an accumulation of an enormous amount of philosophical materials in the general fund. The richness and variety of Indian thought are really remarkable. Hundreds of questions are asked and hundreds of answers are offered. Every problem is discussed and conclusions are drawn. There is practically no shade of speculation almost on every philosophical problem which this tradition does not include. One of the most important philosophical problems which has been discussed with great seriousness and deep penetration is the theory of illusion. Not only all the minor ones engage themselves with a plausible explanation of the fact of illusion. 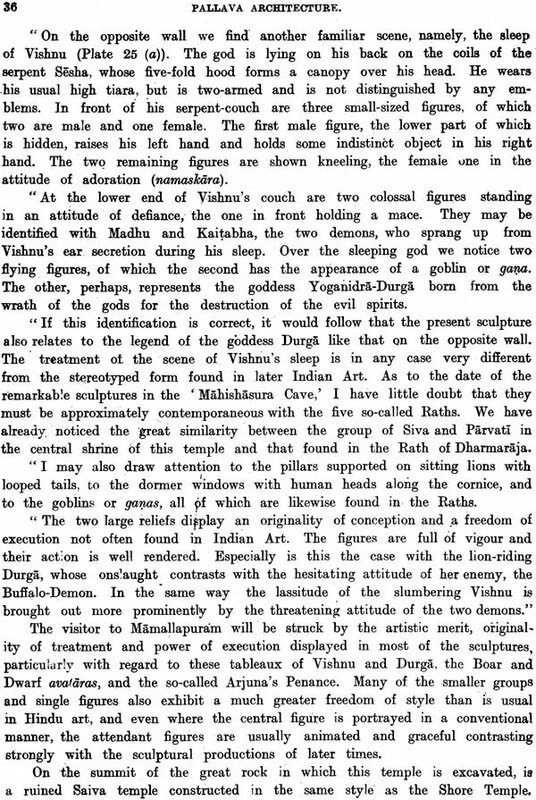 Thus, we find in the various works of Indian philosophy a good deal of deliberations on this problem. In fact, we have five major theories in this regard, and at least ten other minor theories which are also no less important because of the fact that each theory points to a significant point of the problem in its own way. 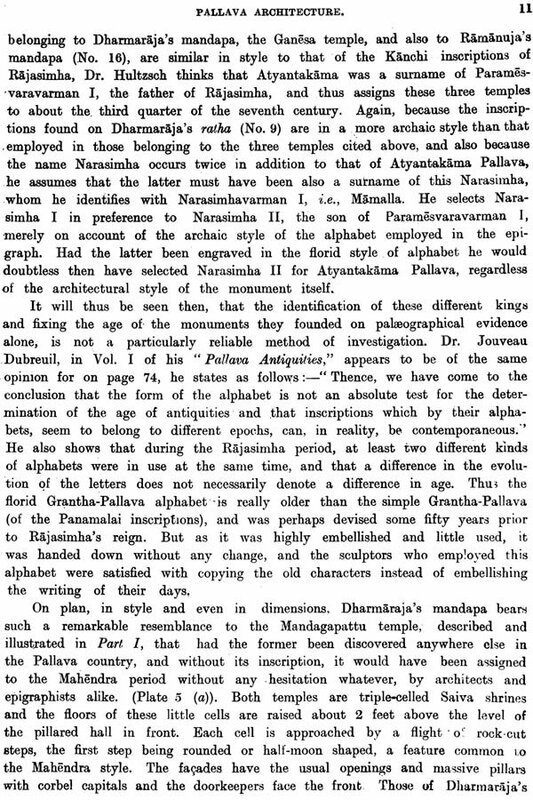 We have theories advocated by Vadanta, Mimamsa, Nayaya, Samkhya, Vaisesika, etc. and also a lot of different schools within these systems themselves. We have even a theory which goes to the extent of denying illusion, arguing that an illusion is really a mixture of two cognitions, at least one of which is quite valid. Questions have also been asked about the real nature of an object of illusion. Does an object, cognized in an illusion, really exist, or is it a figment of imagination, or is it something indefinable? It is clear that an examination of the various aspects of an illusory cognition is a matter of great concern and importance for the philosophers. It may naturally be asked, why is it so? 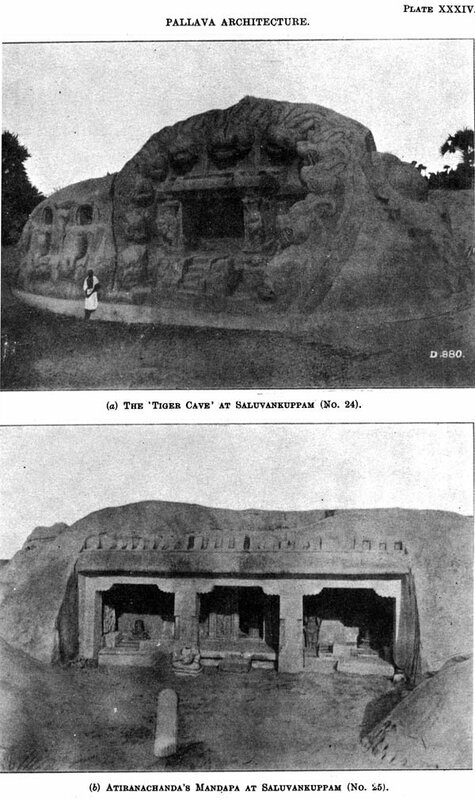 To find the answer, we may refer to the distinct conception of the ancient Indian thinkers as regards the final goal of human existence. Four ultimate ends of life are mentioned as dharma, arhta, kama and moksa. Of these four again, the last one, i.e. moksa (liberation), is the most important. Every human being is being tormented constantly by various kinds of sufferings and the aim of philosophy is to free one from one birth to another or the cycle of births and deaths. The simple answer offered by all the systems unanimously is that ignorance, false cognition or illusion is the root cause of all miseries. Of course, differences do exist as far as the means in removing them. But there is no doubt that the basic idea is the same—illusion causes sufferings and it has to be removed. Thus, whatever may be the distinct standpoint of a particular system as regards the different problems of philosophy, no system can do without a theory of illusion. What is meant by illusion? What is the exact sense in which an illusion is an illusion? Or how much illusory an illusion actually is? Is an illusion totally illusory, or there may be some element of non-illusoriness even in an illusion? Questions like these are raised and answers are sought. An analysis of the different theories of illusion shows that an illusion is a complex of so many different aspects. It involves psychology, logic, ontology and metaphysics, and even to some extent, physiology. The problem of error is an important subject in Western philosophy also. This work will thus be relevant to scholars of philosophy in general. 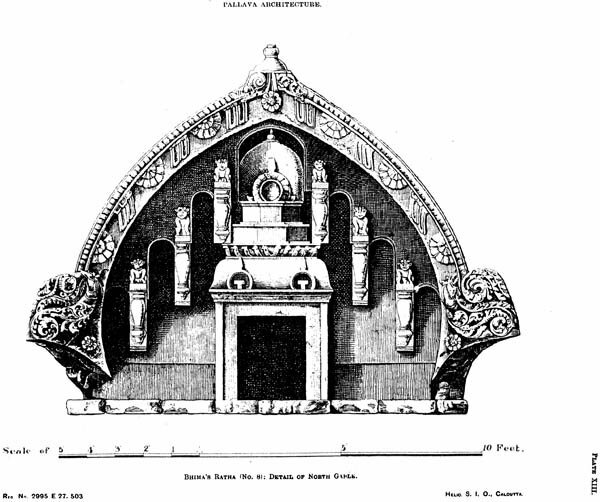 The objective of this work is to have a critical assessment of the theories of illusion in Indian philosophy, their philosophical importance and contributions of the Indians to the general fund of thought and ideas. This objective is followed very minutely in this work. We see that there are five kinds of Khyativada acknowledged in the domain of Indian philosophy. 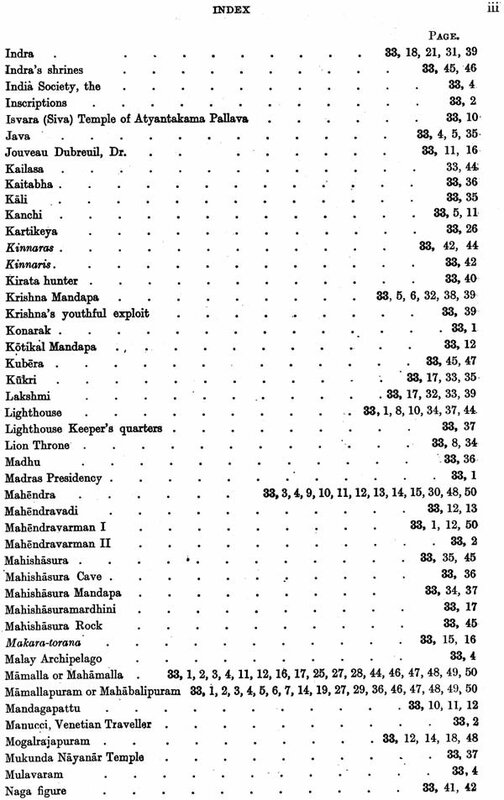 They are Atmakhyativada, Asatkhyativada, Akhyativada, Anyathakhyativada and Anirvacaniyakhyativada. If we try to judge the classification of them, we will be able to put them into two broad categories—satkhyati and asatkhyati. If we admit the first one, i.e. 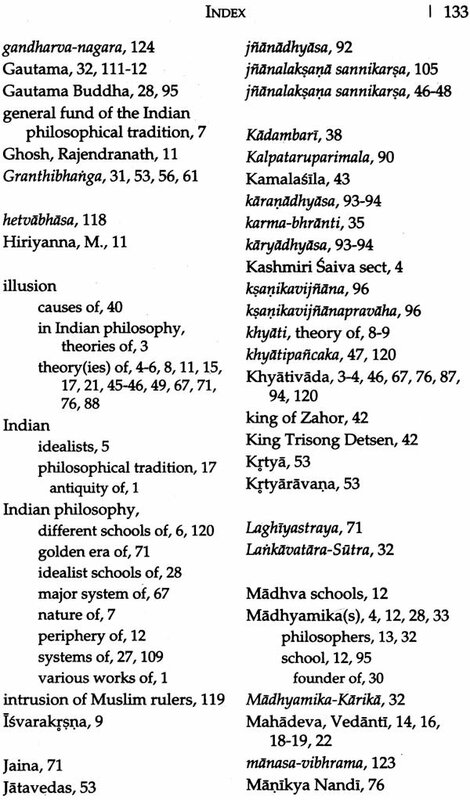 satkhyati, then we can put atmakhyati, akhyati and anyathakhyati into that category. Moreover we can include Yatharthakhyativada of Ramanuja here so we do not have any necessity to admit four kinds of Khyativada. The reason behind this inclusion is: though they have difference of opinion in some contexts, the basic concept of them is almost same. According to them, the illusory silver appeared in the nacre is existent. 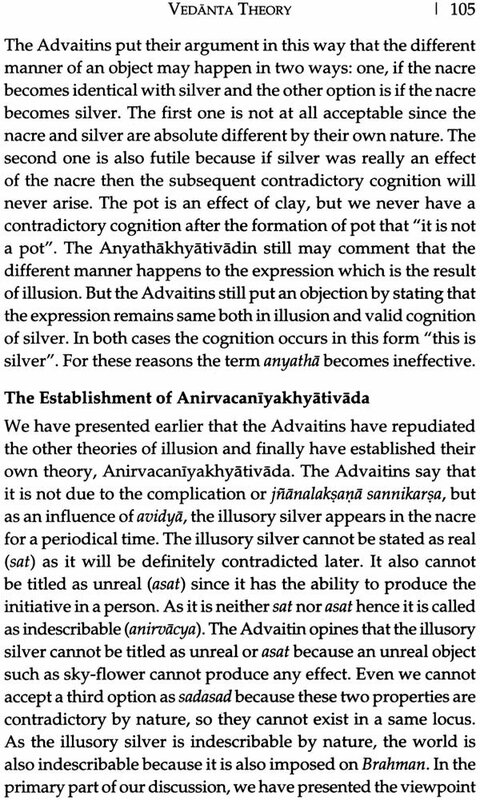 The Atmakhyativadin opines that the illusory silver is not ultimate unreal. On the other hand, the Anyathakhyativadin and the Akhyativadin opine that the illusory silver is not absolute unreal. Its existence may remain somewhere else. The theory of Ramanuja in this context is that according to the trivitkarana prakriya, some part of silver remains in the nacre. Finally we can say that if satkhyati is admitted, then the exaggeration of classification can be restrained. 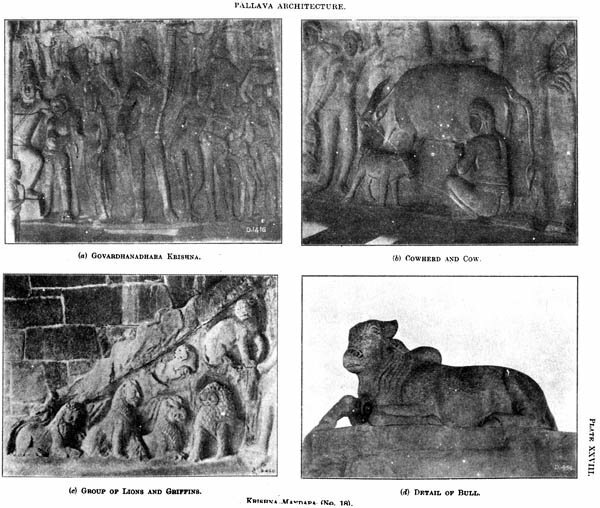 We can mention other forms of Khyativada, such as Alaukikakhyativada by Bhojaraja and Apurankhyativada by Kashmiri Saiva sect. 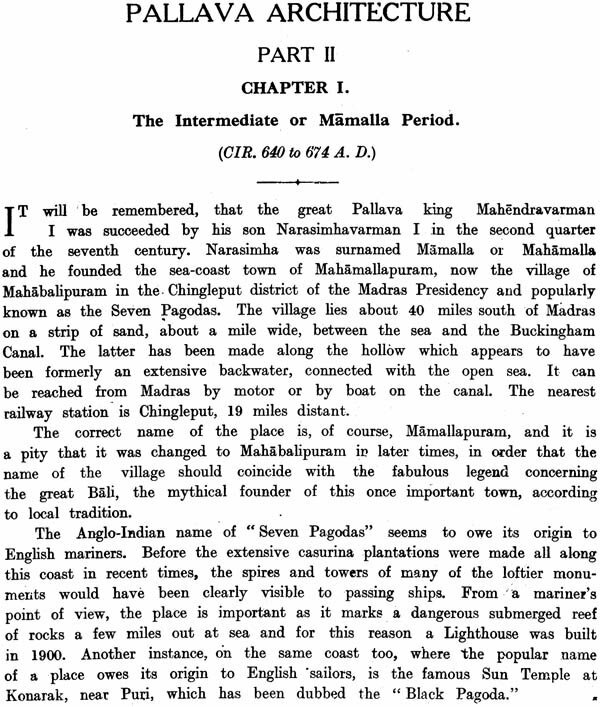 Some scholars have commented that Sadasadkhyativada established by Vijnanabhiksu may be categorized in a different class. 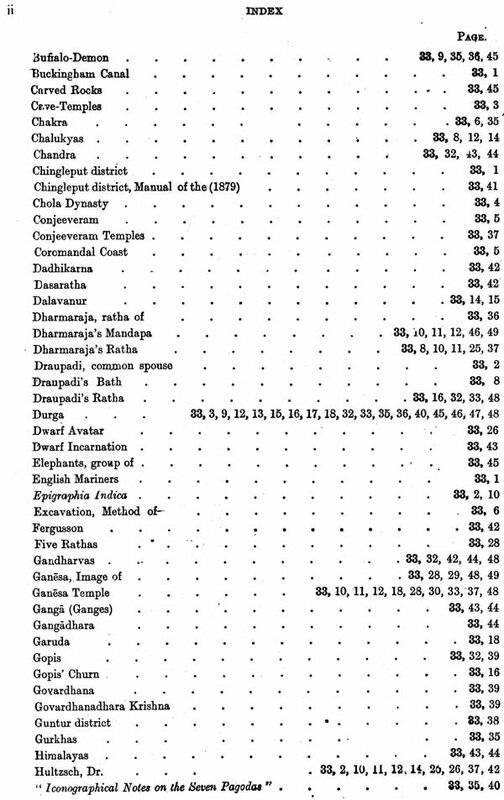 So finally we may suggest the classification of Khyativada in this manner: (1) satkhyati, (2) asatkhyati, (3) sadasadkhyati, and (4) anirvacaniyakhyati. It may arise a few questions among the scholars but to restrain the numbers of Khyativada, our suggestion about the classification of Khyativada may be regarded by them. It is seen that when we go through the history and development of philosophy, we find, broadly speaking, that there are two basic trends, opposed to each other, on the basis of which the philosophers are divided into two camps and go no arguing for their respective positions through the ages, namely, idealism and realism, the crucial question being the reality of the external world. According to the former, ideas alone are real and the external world is illusory, but according to the latter, the external world is very much there as experience clearly proves. This question has been discussed for ages by both the Western and Indian philosophers. In the Indian tradition also we have different schools adhering to either of the doctrine. For example, we can refer to at least three schools which, in spite of mutual differences concerning many basic issues, are nevertheless united in denying reality of the external world, such as the Madhyamikas, the Yogacaras and the Advaita Vedantins. On the other hand, we have also major schools which strongly advocate realism, such as the Samkhya, the Nyaya-Vaisesika and the Mimamasaka. It is not difficult to see that, for both, a plausible theory of illusion is indispensable. Especially the Indian idealists in general try to prove their case almost on evidence of illusion. 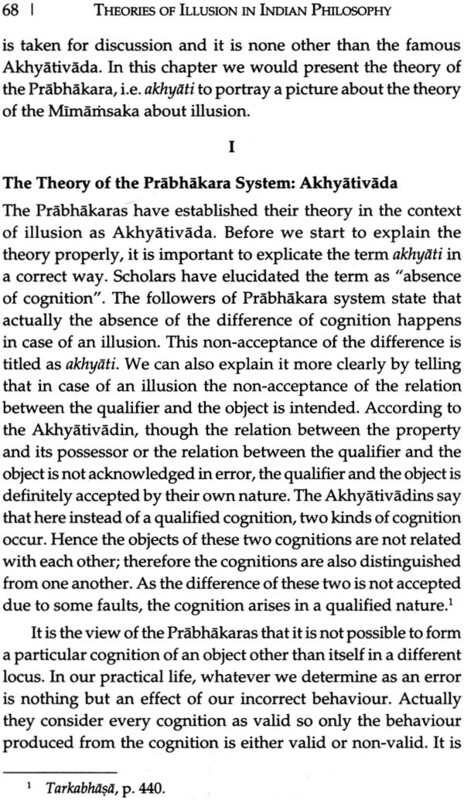 Just as an example we may here refer to the comments of Vijananabhiksu, a well-known Yogacara philosopher: Indeed, no sensible objects are at all perceived outside consciousness. These are provided by dreams and hallucinations. Consciousness itself appears in dreams in the grab of external sensible objects. Supposing a is the cause of b, it is then impossible that b should appear in the absence of a. If our ideas were produced by external objects they could not form dreams. We therefore must know that consciousness containing ideas of objects arises without any external object at all. Thus the idealists had to offer a theory of illusion which would substantiate this position and also explain the experiences in the waking state which tend to show that the object is real. Naturally the representative of realism had to counter all this and find out a theory of illusion which would satisfactorily explain an illusion which reveals a real object as another real object. 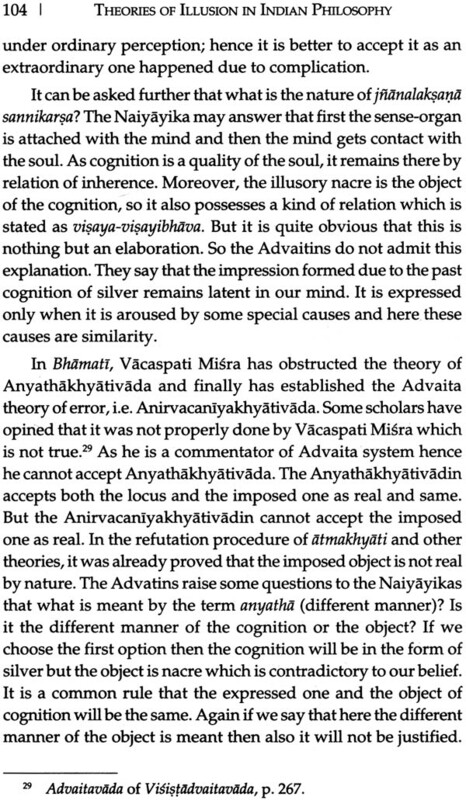 This confrontation is responsible for the formulation of so many interesting theories of illusion in Indian philosophy, such as asatkhyati of the Madhyamikas, anirvacaniyakhyati of the Advaita Vedanta and anyathakhyati of the Nyaya, etc. In this context another point also may be noted. Strictly speaking a theory of illusion comes under the distinct part of philosophy known as epistemology or theory of knowledge. 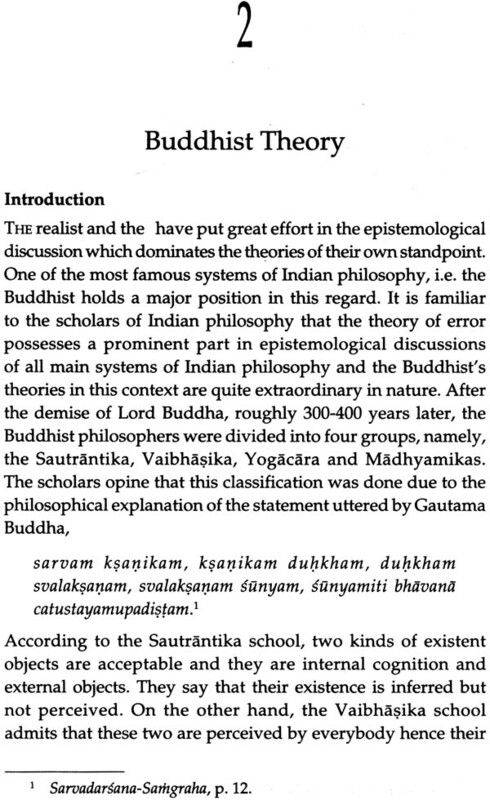 But in Indian philosophy metaphysics and epistemology are generally inseparably linked. A particular metaphysical position can be justified only on the basis of a particular epistemology. The realists put absolute emphasis on experience. Again, all the systems have to define the exact status of the object revealed in an illusory experience. When one perceives a snake in a rope, what is the status of the snake? According to some, both the snake and the rope are equally unreal, according to the others the snake is of a special kind, indefinable, while others argue that both are equally real. All this shows that the theory of illusion assumed a great importance in our philosophical systems and deserves to be discussed in a proper manner. 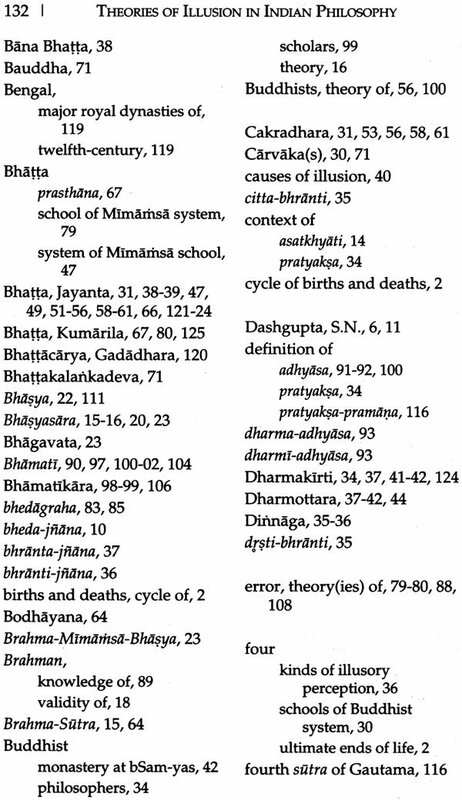 Generally, a brief survey of the different theories in included in most of the textbooks on Indian philosophy. But there is no doubt that it deserves a separate and exhaustive treatment as the Western as well as the Indian scholars have shown great interest in this particular topic and it can be said in a definite way that the trend will continue in future also. 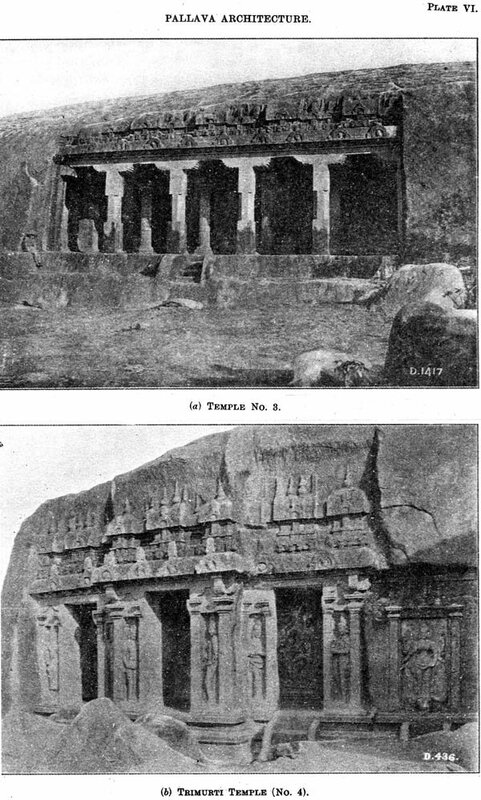 The work was conducted especially on the basis of the original Sanskrit texts of the different schools of Indian philosophy. The views of the different schools were examined, criticisms of the opponents were noted and attempt was made to make a proper assessment. For a long time in the past there had been a widespread prejudice that positive and critical philosophy could only be found in the West. 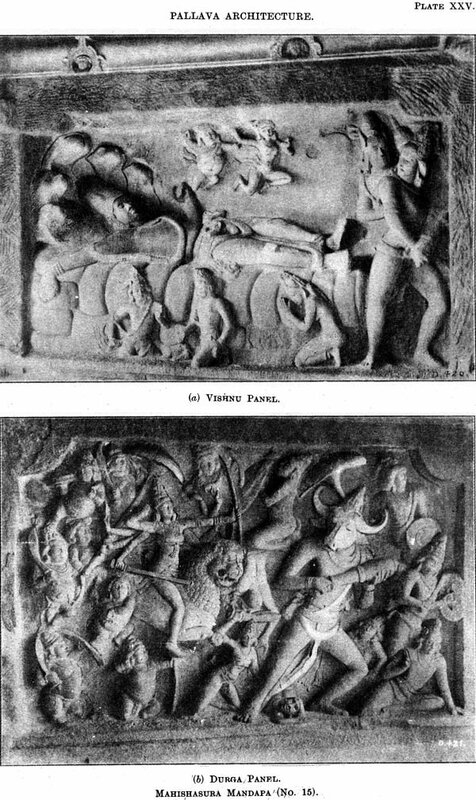 It had been tacitly assumed that critical thinking was unknown to the East, whose philosophy appeared to be limited to primitive speculation. 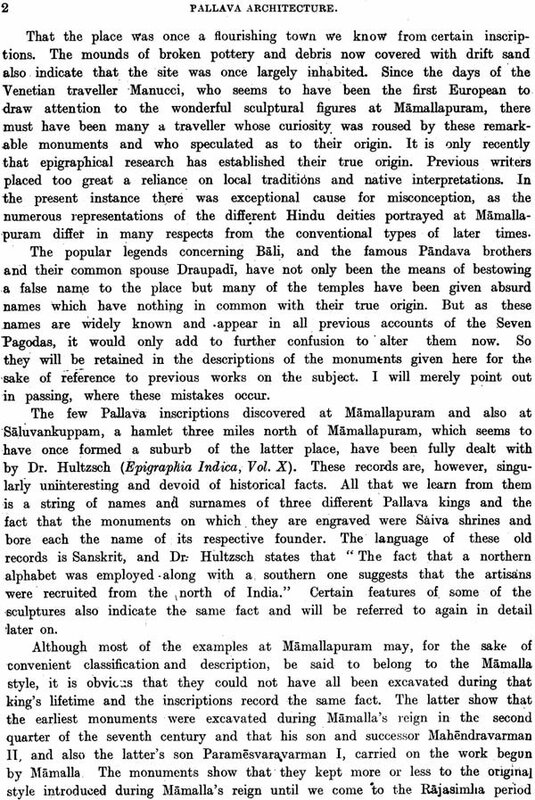 The Indians were never really interested in philosophy, they were interested in religion and their philosophy would always lead to a religious or mystical goal. However there has been a change of attitude during the last few decades, the interest of Western scholars on Indian philosophy has grown considerably. It is now more or less accepted that the philosophers of India also addressed themselves to some of the perennial problems of philosophy in general and their deliberations may be considered relevant even today. A thorough and objective study of the theories of illusion would go a long way in establishing the fact in the Indian culture also there are schools of analysis as rigorously rational as the analytical school of the West. Thus a misconception about the nature of Indian philosophy would be removed. Moreover, there is no doubt that in the general fund of the Indian philosophical tradition there are ideas and attitudes at least with the potentials of secularism, rationalism and science-orientation. An analysis of these traditions may perhaps be viewed as more than a matter of antiquarian curiosity. At least some of our philosophers have worked in their own way, though under limitations historically inevitable, to fight against obscurantism and irrationalism. A particular philosophical standpoint may indeed have great significance for the society at large as it has been proved lot of times in history. Thus a study of illusion and some of collateral issues involved may have some social significance also.